Qingdao has introduced the 144-hour visa-free transit. Passengers from the 53 countries qualifying for the Qingdao 144-hour transit without visa (TWOV) can stop over in the city, and they are be able to travel within the whole Shandong Province for 6 days without applying for a Chinese visa in advance. But the travelers are required to enter and exit from Qingdao only. For those people who are eligible for the Qingdao 144 hours TWOV, not only the city of Qingdao, but also all other places of Shandong are areas included for visits during the 6 days transit time. 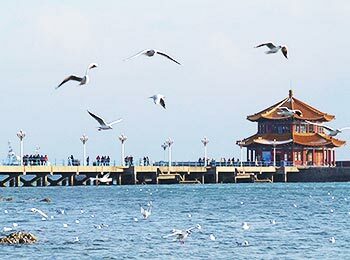 For instance, if you are interested in the Confucius Temple in Qufu or want to explore the Baotu Spring Park in Jinan, it will be fine for you to leave Qingdao for the two cities of Shandong after obtaining the 144-hour free transit. Please note that though you can go to other Shandong cities to spend the 6 days, you need to go back to Qingdao to leave the country. The passengers from the 53 foreign countries can apply for the Qingdao 144-hour visa-free transit scheme at its air and cruise ports. In other words, the 144-hour free transit exemption will be issued to the eligible tourists only after their arrival at Qingdao Liuting International Airport and Qingdao cruise port. When arriving via Qingdao’s railway stations, which do not qualify for the Qingdao TWOV, passengers will need a valid visa in order to enter the city. What Is the Qualified Travel Route for Using the Qingdao 144-hour Free Transit? The travel itinerary should be country A – Qingdao – country C. Make sure that country A differs from C.
First, please inform the airline or cruise company at check-in that you want to use the free transit in Qingdao. Then you'll be granted the TWOV and entry permit when clearing immigration upon arrival. If visiting Qingdao from Jul. to Sept., you might catch up with the International Beer Festival. This carnival enables all the guests to enjoy various kinds of beer and have a wonderful time during the grand occasion. 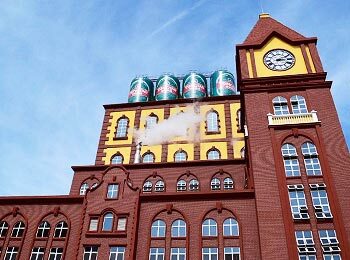 Or go to the famous Qingdao Beer Museum at No. 56, Dengzhou Road to get to know about the history of the centuries of the brewing of Tsingtao Beer. 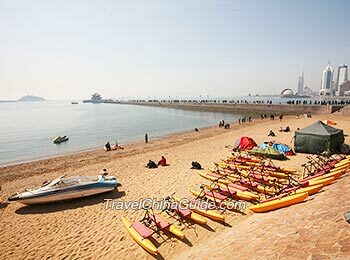 Qingdao is a coastal city boasting pretty coastline views. Besides the picturesque seascape, you won’t want to miss the mountain over the sea - Mt. Laoshan, either. Having a sumptuous seafood feast would add more value to your Qingdao trip. 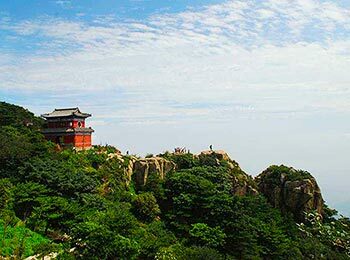 Located in southwest Shandong, Qufu is famous for being the hometown of the great educator Confucius. Paying a visit in there, you can see the Confucius Temple, the Confucius Family Mansion & Cemetery, and gain a better understanding of the Confucian culture. Can I use 6 day Qingdao Transit visa, if I’m arriving from Seoul and leaving to Macao? Yes if you are on the non-stop Air Macao flight.